Weigh gold, gems, metals and jewels with tenth gram precision. Platform Size 6" x 5.4"
Scale Size 9.4" x 7.8" x 3.2"
Class II NTEP Approved Legal For Trade The National Conference on Weights and Measure certifies this precision jewelry scale Legal for Trade with Certificate of Conformance Number 09-109A1 So, ya can count on getting accurate readings time after time. 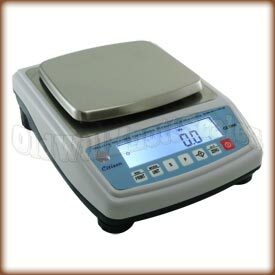 You can even use this balance to get accurate weights of items ya plan on selling commercially by weight. Programmable Backlit Display This ACZET scale has a bright, backlit weight display so ya can see your weights even in dim lighting. You can even program this feature to stay on, stay off or come on with the press of a key or change of weight. RS-232 Serial Port The ACZET CZ1200 has an RS232 port built right in. This is important if you're wanting to send your weight readings and other data to an external source like a computer or printer. 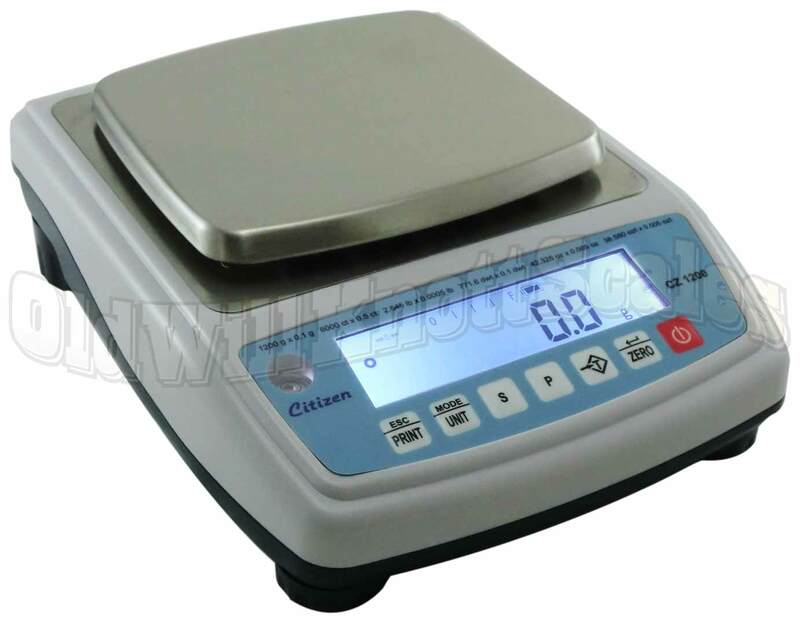 Removable Stainless Steel Platform The CZ 1200 has a durable stainless steel weighing platform to make cleanup a breeze. Unlike gold or silver, stainless steel doesn't scratch easily and keeps its shine without rusting or tarnishing. Tare Feature The tare button on the front of this digital jewelry scale can be pressed to "zero out" the weight on the scale. You can then add more weight, and the display will only show the weight of the items you're adding. This sure is useful when ya want to use an expansion scoop to weigh your things, or if ya want to get separate weights of multiple items. Liquid Level Indicator This very handy feature will help you quickly and easily get your scale nice and level. A level scale is important for getting the most accurate weight readings. 1 YEAR MANUFACTURER'S WARRANTY! ACZET Scales Inc. offers a one year warranty against defects in materials and workmanship. In the rare case ya have a problem with this scale, just give ACZET a call for a repair or replacement.